April began with a Brasil North Mission Reunion. Every year, missionaries that served under President and Sister Johnson get together in Orem for a Brasilian dinner consisting of fejoada, guarana, baba de moca and other treats. This year I arrived early, only to be appointed the MC for the evening. It was wonderful to re-connect with those who served in Rio and parts north. It's still hard to believe that we were trusted enough to take a 20-hour bus ride into the interior of a country we did not know, by ourselves. I told everyone about my new mission call and challenged them all to sign up. General conference was very uplifting as usual. I especially enjoyed President Uchtdorf's talks entitled "He Will Place You on His Shoulders and Carry You Home" and "In Praise of Those Who Save." And speaking of recent enlightenment...I was in priesthood meeting on April 24th and heard a lesson on the Gift of Tongues. I think we are all reminded of missionaries learning a foreign language when we think of the Gift of Tongues. It suddenly occurred to me that husbands and wives, as well as parents and children need the Gift of Tongues in order to listen effectively and understand one another with love. I bought a Mercedez C240 to replace the Buick that was destroyed in my accident. Robert Marsh came through again! Thanks Cody for letting me run the purchase past you. I hate buying other people's problems. But it is a better car than the Buick and was exactly the same price. Lisa and I saw Jungle Book and Eye in the Sky. Both movies were great. I love hearing from you. Lisa and I are planning a trip to Yellowstone Park soon. You can read all about the Park in May, 2016 National Geographic. I enjoyed helping BJ put up the gazebo. I can't remember a more complicated project at the house. BJ was amazing, tearing down the shed with Max and putting up the gazebo in a couple of days. We enjoyed a great fire for hours too. Lisa and I had fun surprising Amelie and family for her birthday. 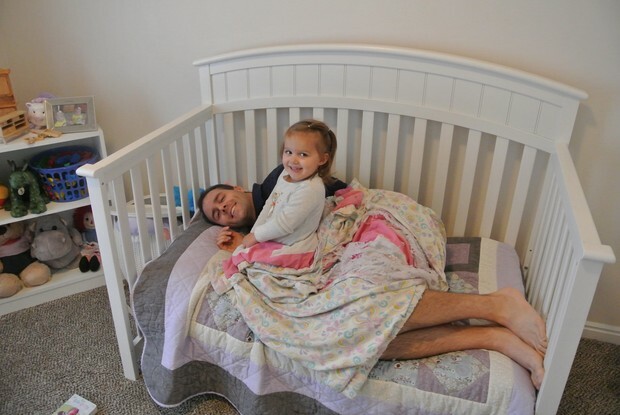 We left for Burley right after the Sunday morning MoTab broadcast. We managed to attend their sacrament meeting without being detected, and then make dinner with birthday trappings to surprise them when they got home. We saw the new bathroom Cody and crew put in upstairs. Amazingly large. I am grateful for the musical instruments Cody has provided, eg. a Fender steel slide guitar and a beautiful banjo. By the way, is anyone down for the world fiddle championship in Weiser at the end of June? Helping our District with the Webelos Day hike. I was in charge of giving everyone the instructions to begin their hike. Brandon was in charge of meeting them at the top and overseeing a "preservation service project," which consisted of 75 10-year-olds each selecting 10 rocks from the area to create a pathway, thereby preserving a section of land without a trail and, consequently, demolishing the natural habitat of all indigenous rock dwellers. In Brandon's words "The Secret of Nimh must have happened a thousand times today." 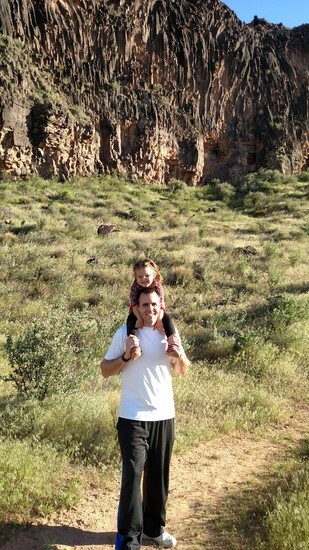 Quincy was fantastic all day, telling the boys to "have a great hike" and eating her weight in veggie straws. Brandon got accepted to Western Governor's University to begin his Master's degree in IT Management. He begins classes June 1st. 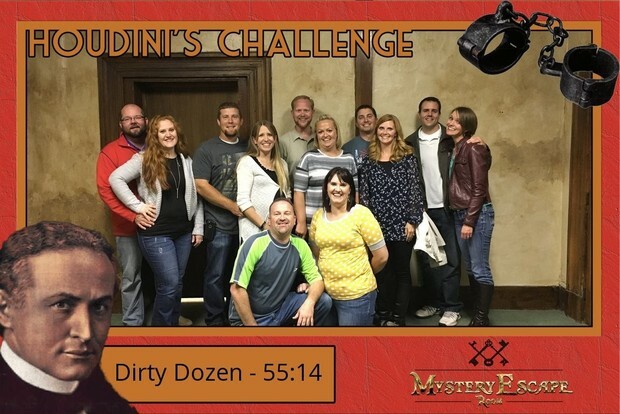 We solved a Houdini Mystery Escape room with a bunch of friends from our ward here. The moderators told us we solved the initial puzzles faster than they'd seen anyone do (and without any input from the helpful moderators, since Brandon had inadvertently disconnected the moderator's speaker during his first sweep of the room for clues), but we lost almost 10 minutes on the LAST puzzle because all 12 of us struggled finding a number that, when written, was in alphabetical order. (We all thought it had to be a single digit, and assumed it was 8.) So in sum, it was the smartest of times, it was the dumbest of times. Quincy's favorite line that wins any argument: "Because YES." mom that mom made look easy is that whenever she had something whether it was good chocolates she had probably been saving or a new shirt she hadn't warn yet, if I wanted something she had, she would always make it seem like, of course she had been saving it just for me. Something I obviously didn't appreciate like I should have then. Happy mother's day!